There are many reasons people choose to build log homes, despite newer building technologies, there are many appealing factors. Choosing this type of construction is energy efficient, good for the environment and creates a very homey and comfortable living space that is child friendly and noise proof. A log home is a form of green construction and the impact on the environment is minimal. This is largely because the wood used to build log homes are usually resilient species and wood is a renewable resource. In many cases trees cleared from the lot itself can be used to build the home. This means no trees or resources wasted. If built well, most log homes are also very energy efficient. The thick walls of the home absorb heat from sun during the cold days and insulate from excessive heat during summer. This means a more even home temperature and less need for central air and heat. The thick walls also create a noise barrier, and helps the inside of the house stay quiet and from outside noises. Because the wood absorbs sound it also lessens the noise within the home itself, from room to room, or even from household appliances. This lends the the peaceful relaxing feel that log homes have, and make it a great place to escape the hubbub of daily life. 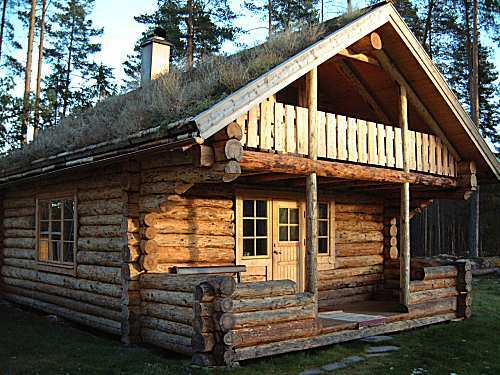 Of course, log homes are not all perfect. And there are some possible drawbacks. For one construction on a log home tends to be pretty dangerous due to the large logs that need to be placed. Another possible issue that that in many cases the wood isn’t treated and needs regular maintenance to deter bugs and keep the wood dry. Getting a loan for a log home can also be an issue at times. Because it is considered a ‘non-traditional-home’ finding the right loan, or a bank that will mortage out the house can be tricky. This is something that is important to look into, especially if you are hoping to resell the home. Log homes have been a much-loved construction style for years. The houses feel warm, homey and inviting, and the thick walls provide insulation from the weather and noise. Log homes are also excellent for the environment and are very energy efficient. Although there are some drawbacks to building a log home, the potential benefits are many, and a log home can be a relaxing oasis for decades to come. If you are thinking about adding siding to your home, there are many choices to choose from. The materials that you may use could include wood, aluminum, or vinyl siding. There are also many different styles to choose from including horizontal lap siding, board and batten, shingles, wood strip siding, or even James Hardie Chicago fiber cement siding panels. However, if you are looking for an affordable solution that can protect your home for many decades, fiber cement siding might be exactly what you need. In this article, we will consider the many reasons that you should choose this type of siding over the others, and also give you a few tips on how to find the best prices. 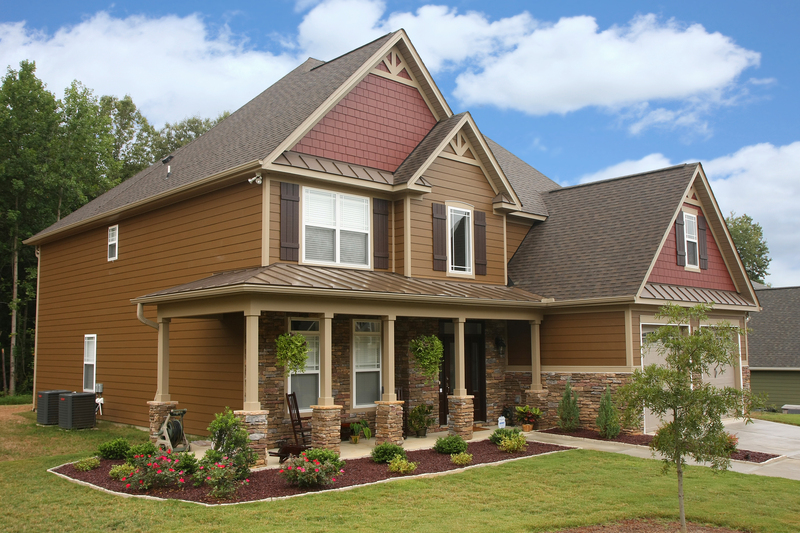 There are many reasons that people choose to put siding on their home. It provides exceptional water resistance that can protect the internal structure. It is actually very easy to install, however using a licensed contractor is the best way to ensure that it is done correctly. Siding makes your home much more energy efficient, and also provides a unique aesthetic appeal. Depending upon the type of siding that you use, it can be extremely durable regardless of the climate. For all of these reasons, and many more, you should choose to add fiber cement siding to your home. There are several advantages to using this particular type of siding over all the others. Not only does it have a beautiful appearance, offering many different patterns and colors, is a very solid fiber material that will last for several decades. It is especially good in areas where there are extreme weather conditions as well as intense amounts of humidity. It is also one of the best types of siding to use because it is resistant to mold. It will not warp over time, rot, and insects are not fond of this material. This type of siding is also considered one of the more environmentally friendly products available, making it very appealing to those that seek out eco-friendly household products. Now that you know how durable, and appealing, this type of siding is, you should consider the price. It is actually more expensive than the traditional siding that is used by many companies, including vinyl and wood. In regard to long-term costs, it will probably not help you lower your energy bill because it does not have insulating properties. Therefore, despite the beautiful appearance and its long-term durability, it may not be the best choice when it comes to saving money on your energy bill now and in the years to come. Now that you know a little bit more about fiber cement siding, you might want to consider using this on your home. By finding a reputable contractor in your area that has used this material before, it can be installed very quickly, improving the overall aesthetic appeal of your home and property. Remember that it may not be the most cost effective type of siding to use, but it will last much longer than vinyl or wood. If you live in an area of the world that has extreme weather conditions, it definitely is the best choice for you. One of the most reliable ways to increase the value of your property is to increase the curb appeal. Whether you simply want to live in a home that is more attractive, or you are attempting to raise the value of the property because you want to sell it pretty much immediately, either way – on exterior home remodel is an excellent choice. 1 – Think about the reasons why you are undertaking the exterior home remodeling project in the first place. If you are undertaking the exterior home remodel for reasons of personal aesthetic taste, your plans will proceed quite differently than if you are deciding to undertake it purely for the reason of increasing the curb appeal of your property with an eye toward a sale. 2 – Think about your goals for the exterior remodel and what the best ways would be to achieve those goals. This is important when you choose outdoor features, whether you are going to include things that require engineering such as water features, and what sorts of plants and other outdoor decor you’re going to include in your plan. 3 – Consider the scope of the planned remodeling and whether you will need to hire a professional to get the job done or whether you can take on the projects yourself. This is an important consideration. After all, if the project is straightforward enough that you could complete it without professional intervention, then you would merely be wasting money on hiring a contractor to assist. However, if you attempt to complete the remodel yourself and it turned out to be so complex that you need to call in a contractor to repair damage, then it could end up being significantly more expensive than it would’ve been had you called in a contractor from the beginning. 4 – Unless you are remodeling the exterior of your home for the express (and sole) purpose of selling it, then definitely take into consideration your own tastes and style when planning your home remodeling project. By keeping these factors in mind as you think about and plan your exterior home remodel, you will go forward making conscious and conscientious decisions that are well thought through, which will significantly increase the likelihood that you are completely happy and satisfied with the finished project by the time it is complete.